Kärcher NT 45/1 Tact wet and dry vacuum cleaner. 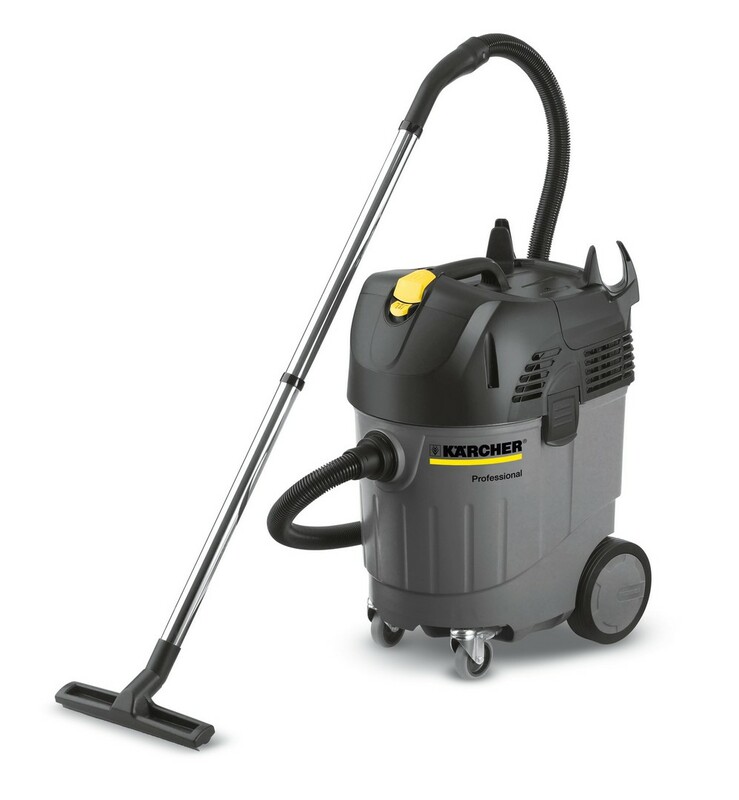 A tough, high-performing cleaner capable of removing wet or dry dirt very quickly. With Kärcher’s unique TACT automatic filter clean system as standard, the NT 45/1 is designed for continuous removal of even very fine dust without blocking up the filter - therefore minimising downtime and increasing productivity. Ideal for trade, crafts, industry and anywhere else that portable, high-performance dust control is required. Comes with a 2.5m suction hose, metal suction tube, wet and dry floor tool, crevice tool and filters/filter bag. Front bumper bar with metal castors. Built in storage tray for tools.